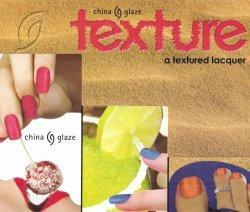 Dip your nails into these bright shades loaded with gritty texture! These 3D specialty lacquers mimic the look and feel of sand. 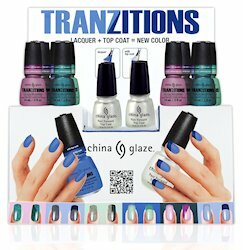 Explore a new generation of Holographic lacquers! A Captivating collection of twelve illuminating shades. 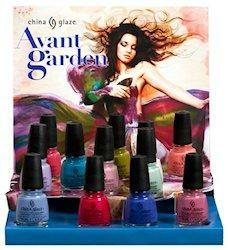 Spring is here and China Glaze is blooming with vibrant color. This delightful combination of bright and springy shades is cheerful and vivid. Get glitz'd up! 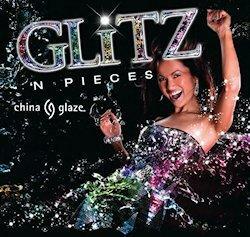 A palette of reflective glitter with multi-sized and shaped particles. Click on the bottle to view a larger image and tranzitions. 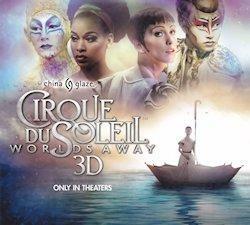 Twelve new shades inspired by Cirque du Soleil Worlds Away 3D.